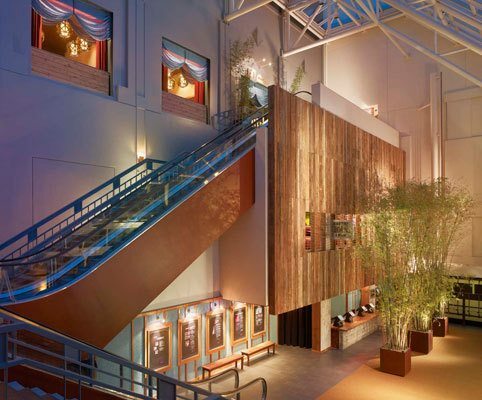 The opening of the first Sundance Cinemas in Los Angeles seems a perfect way to bring summer to a close. The new theatre opened in the space once occupied by the Sunset 5 which Laemmle Theatres operated for two decades before it was shuttered last December. The new venue has been named Sundance Sunset Cinema and, much like the Sunset 5 before it, will feature mostly independent and art house titles. It opened on August 31st. Sundance Sunset Cinema is the fifth location to be opened by Sundance Cinemas, which operates theatres in Houston, TX, Madison, WI, San Francisco, CA and Seattle, WA. A sixth location in Westchester, NY is planned for later this year. The circuit is part of the Sundance Group, the corporate entity that houses all of multi-hyphenate Robert Redford’s Sundance related businesses, including the annual festival. The actor/director, who grew up in Los Angeles, recently told KCRW radio host Warren Olney on “Which Way LA“, that the opening of Sundance Sunset Cinema is a bit of a homecoming for him. Beyond programming, Sundance Sunset Cinema has been completely renovated; each of the five screens feature stadium seating and digital projection. The lobby was overhauled to facilitate a restaurant and bar as well as an upstairs patio and lounge. Patrons are permitted to bring beer and wine into the auditoriums.